During the session, we connected with the Chief Information Security Officer of an extremely large pharmaceutical company. He was the perfect target for the client we were working on, but he was reluctant to keep the conversation going. He had objection after objection. "Not interested," "Send me a datasheet," "We already do that." You name it, he tried to bail out, but my rep was relentless in a completely calming way. He would agree and acknowledge the objection, then segue to another topic or solution. He kept him talking. Then after 5 minutes or so, the prospect accepted the meeting and offered to bring two of his direct reports. I closed the training session with a quote from Yogi Berra; "It ain't over 'til it's over." We've all heard it, and this conversation proved it. I would say a majority of insides sales reps may have bailed on this call after the second objection. Anyway, it got me thinking. 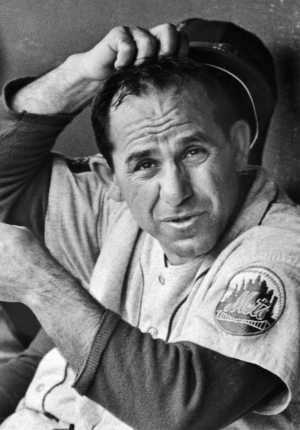 Was Yogi Berra hip to outbound marketing? Did he have other words of wisdom we should listen to? "All pitchers are liars or crybabies:" Don't pitch, have a conversation. If you pitch, you aren't conveying sincerity ... you aren't having a conversation. Bring value. "If you ask me anything I don't know, I'm not going to answer:" Believe me, this has value. Don't provide sales drivel in a conversation. If you don't know, tell a prospect you don't know. What better reason to keep the conversation alive than "actually, I may not be the perfect person to answer that. Can I line up a conversation between you and Mr. Sales Guy?" "It was impossible to get a conversation going; everybody was talking too much:" How true is this? Just stop selling and listen to your prospects. Ask open ended questions -- leading questions. Get them to keep talking and pay attention to where they are going. The more they talk, the less you can get in trouble. "If you don't know where you are going, you might wind up someplace else:" What is your goal of your lead gen activity? Are you appointment setting? Are you trying to gather intelligence? Are you trying to do qualified lead gen? Know the purpose of every email, every dial, every conversation, and then stick to your purpose. If you are setting meetings, make that your goal. What is your goal? What other quotes can you tie to lead gen tips?